When most brands want to give away funny branded items, they usually hope that whatever they’re producing will be held onto for a while, especially with the Comic Con crowd. For Comic Con 2018, Fox went in the opposite direction and branded something people should throw away immediately after using. Why? Because the joke itself would leave a more impactful impression. No one could resist posting pictures of the Deadpool 2 toilet seat covers to social media - some people are even selling them on ebay! After the 2017 release of IT, Stephen King fans have been searching for ways to immerse themselves further into his world. Hulu gave Comic Con attendees exactly that by creating a number of out of home installments across the convention area. For the latest Stephen King installment, Hulu took a page out of the IT marketing book and allowed fans to step inside the world of Castle Rock at the Castle Rock B&B. Fans were treated to a tour, complete with creepy B&B owners. 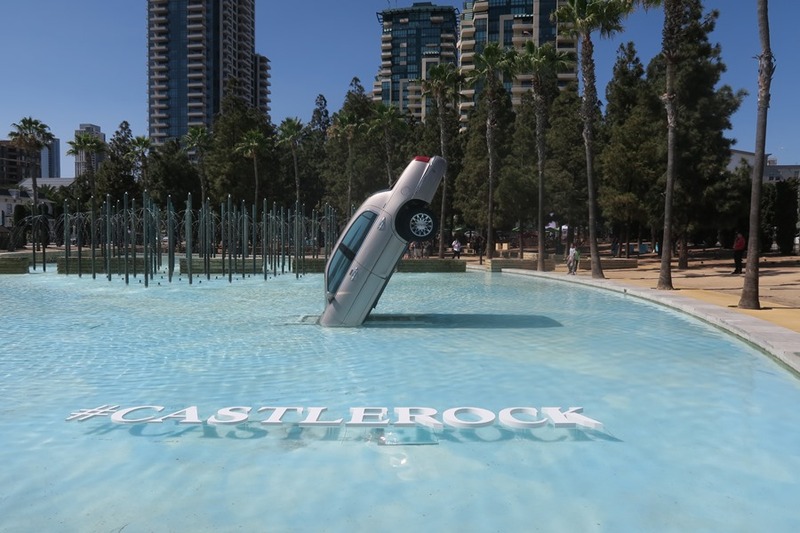 In case anyone missed the B&B tour, they likely saw the inverted car in the fountain of Children’s Park. We’re all familiar with silent discos but Adult Swim used this concept to bring people Rick and Morty in a way they had never experienced before. Fans gathered to witness Justin Roiland, Dan Harmon, and Cassie Steele improvise a radio show in true spirit of Rick Sanchez “fueled by equal parts insanity, improv, and alcohol” that featured selections from the Rick and Morty Soundtrack - all through wireless silent disco headsets (accompanied with masks of their favorite characters). Taco Bell itself isn’t necessarily a Comic/Sci-Fan-themed brand, but for fans of the 1993 film Demolition Man it is. In the film’s 2032, Taco Bell is the only restaurant left in LA. Taco Bell as a brand is known for its sense of humor and to take every opportunity for a joke, so why not create a Demolition Man themed pop-up restaurant for Comic Con? The pop-up served a number of drinks and new twists on Taco Bell classics. Love these campaigns as much as we do? Check out our SDCC Marketing round-ups from 2017 and 2016 here. If you're looking to create a campaign like this for you brand, contact us here.